Welcome & great looking Boxster. If this is your first Porsche, you'll find parts are going to be expensive, esp compared to Japanese cars. No need to throw $$$ at stuff that doesn't need replacing. Change the oil. Inspect the serp belt and replace if it looks cracked. Change plugs and coils if you don't know their history. Then save a $1000 for the items that will crop up that you didn't expect. Many items will give you a hint they're failing - the water pump will drip and you'll smell antifreeze, the AOS will leave soot in the exhaust tip and will consume a bit of oil, etc. If this is not your daily driver, you should be able to catch these items as they start to fail and fix them on your schedule. I am of the same frame of mind - repair/replace when something breaks. 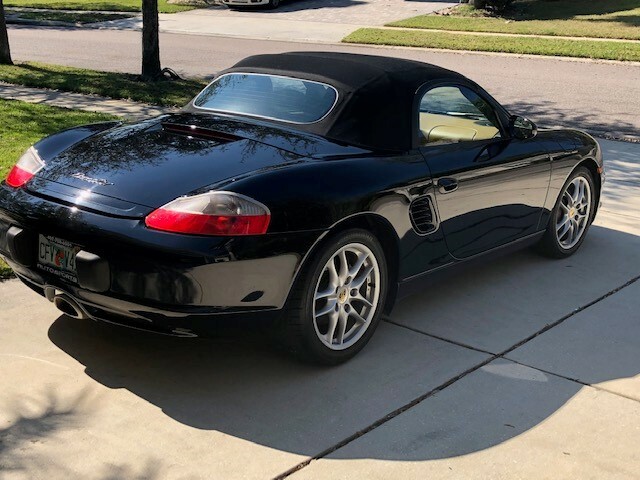 Boxster's are generally pretty reliable but parts and labor can be expensive when the time comes. With only 40K miles, your car shouldn't need much at all in the near term. Check the date codes on the tires, do the standard maintenance, and drive it like it was intended to be driven. Is she going to be DIY or shop maintenance/repair car? For the most part, parts are going to have to be ordered and shipped, so your transportation dependence plays a part as to doing preventative replacement (AOS, WP, Coolant tank, ENDLESS LIST, etc) or waiting till issues crop up. I have to say for my 55k miles (some daily driver) she just worked. A couple replacements were have to's (Coolant tank, evap system for inspection). Others like the AOS, WP were preventative (Originals were in perfectly good working order). thanks for the replys so far. I am going to drive the car as much as possible... I am not one to let things sit. 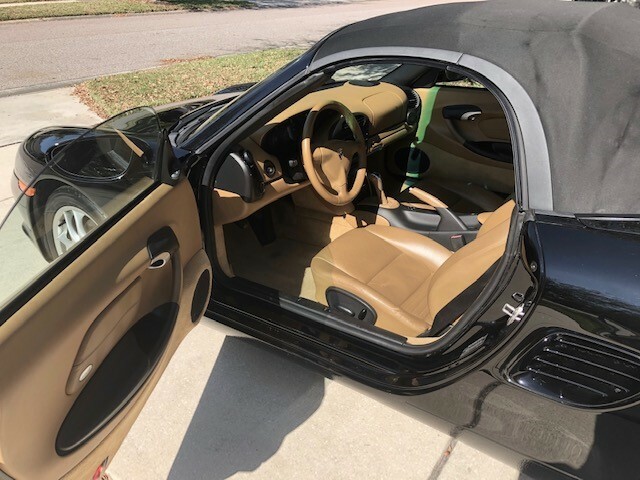 I would like to do some of the maintenance myself, but also have a good shop that is ready to take my money at any time Prior to this, I had endless air cooled VW's so working on cars is an enjoyable experience for me. the heavy lifting would be left to my local shop. Check the maintenance requirements at 40K miles and go from there. Sounds like it has been maintained and you know its history. How long ago was the 30k service done? Brake fluid change is the concern. You didn't mention tires so check their pressure and the date on the sidewall and the tread depth. Drive it. Pay attention to service intervals. Change the oil at least twice as often and the manual suggests. Depending on the brand of IMS bearing, follow the bearing manufacturer's suggestion.